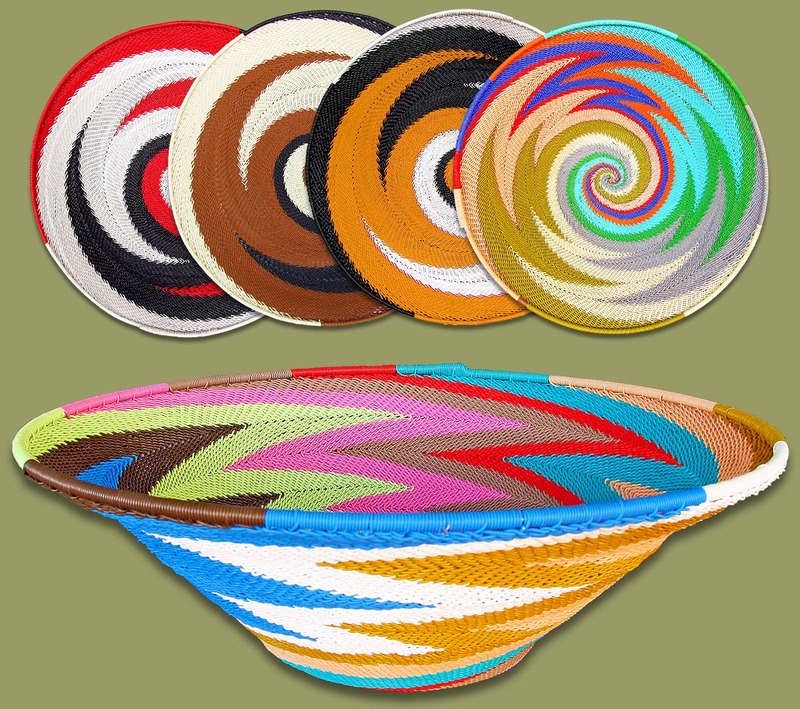 Telephone Wire Baskets Size.6 Mixed African designs, colors and patterns. Hand made in south Africa. If you choose this option you will receive a wide range of bowls similar to all the Size.6 Telephone Wire Bowls shown in this category. PRICE QUOTED IS FOR ONE TELEPHONE WIRE BOWL ONLY. MIXED TELEPHONE WIRE BOWLS ARE SOLD AT A LOWER PRICE.